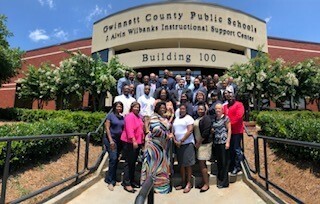 In partnership with Gwinnett County Public Schools and the Chief Turnaround Office, the Governor’s School Leadership Academy’s (GSLA) Principal Cohort program supports sitting principals in managing the change process to achieve transformational school-level improvement. Principal participants join a rich, cohort-based experience that provides job-embedded opportunities for participants to apply lessons learned to their unique school turnaround contexts. During the 2018-2019 school year, principal participants will engage in assignments to practice data-driven decision-making, develop their cultural competence as leaders, and sharpen their instructional leadership skills. As members of the cohort, participants will develop their leadership skills while also expanding their network of support.